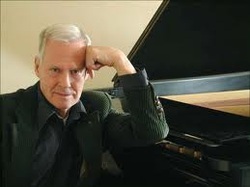 "Celebrating Ned Rorem’s 90th Birthday"
American soprano Risa Renae Harman has been widely acclaimed for her technical virtuosity and communication skills as an artist. As noted by The New York Times, “she is that rare creature among singers, a really good recitalist.” Operatic performances include The Queen of the Night in Die Zauberflöte, Zerbinetta in Ariadne auf Naxos, Adele in Die Fledermaus, Violetta in La Traviata, the title role in Lucia di Lammermoor, as well as creating the role of Louise in the world premiere of William Schuman’s A Question of Taste for Glimmerglass Opera. A favorite of composer, Sheila Silver, Miss Harman recently premiered songs composed for her based on poems by Edna St. Vincent Millay with American Opera Projects at Symphony Space. Likewise she sang the NY premiere of Silver’s The Wooden Sword, a chamber opera, also at Symphony Space. Other recent engagements include soloist in Bach’s Jauchzet Gott in allen Landen, BWV 51 with The Great Lakes Chamber Orchestra, a solo recital at the Brooklyn Library, guest artist with the Greenwich Chamber Players and a return engagement as Artist-in-Residence with the Bay View Music Festival. Other engagements for the soprano include Samuel Barber’s The Prayers of Kierkegaard at the Kennedy Center with The Washington Chorus, Dorine in Kirke Mechem’s Tartuffe with Lake George Opera and Mum in the East Coast Premiere of Mark Anthony Turnage’s Greek with Stony Brook Opera. In appreciation of Miss Harman's artistry, a local music-lover has endowed the position of The Karen Schuiling Endowed Chair, currently held by Miss Harman, at the Bay View Music Festival. She has appeared with New York City Opera, Fargo-Moorhead Opera, Lake George Opera, Lyric Opera Cleveland, and Glimmerglass Opera and as soloist at the National Cathedral, Alice Tully Hall, Avery Fisher Hall, Weill Hall and the Kennedy Center. Miss Harman’s international credits include recitals in Sweden as the winner of the American Jenny Lind Competition and the Italian Festivals Da Bach a Bartok and Musica nei Chiostri. Miss Harman is the recipient of numerous awards including the Lee Schaenen Foundation, Lotte Lehmann Foundation, Sullivan Foundation, Shoshana Foundation, Washington International Competition, Jenny Lind Competition, and Licia Albanese-Puccini Competition. She received her DMA from Stony Brook University and currently is Artist-in-Residence with the Bay View Music Festival, Michigan. The New Hampshire-born pianist Matthew Odell began his studies at the age of 10 and has since won acclaim for performances of a wide range of repertoire as a solo recitalist, soloist with orchestra, and chamber musician. He has been hailed as “excellent” by the New York Times and “brilliant . . . playing with total commitment and real abandon” by Gramophone. Recent concerts have including such diverse projects as Messiaen’s Des canyons aux étoiles. . . with Maestro David Robertson and the Juilliard Orchestra for the reopening of Alice Tully Hall, a performance in the New York Philharmonic’s Stravinsky Festival, and solo recitals of Messiaen’s Vingt Regards sur l’Enfant-Jésus. He also performed numerous contemporary works for piano and orchestra with the AXIOM Ensemble and completed a six-concert tour of Taiwan with the Hampton Trio. In addition to performances in Weill Recital Hall and Zankel Hall at Carnegie Hall, Alice Tully Hall, and the 92nd Street Y in New York, Mr. Odell has appeared at the Kennedy Center in Washington, D.C., in Boston, Chicago, Paris, Moscow, St. Petersburg, Taipei, Taiwan, and Helsinki, Finland. He has also performed at the Aspen Music Festival, the European American Musical Alliance in Paris, New York’s Focus! Festival, the La Gesse Festival in Toulouse, France, Nuits musicales and Concerts du cloître in Nice, France, and the Rohm International Music Festival in Kyoto, Japan. A passionate advocate of the music of our time, Mr. Odell frequently premieres works written for him. 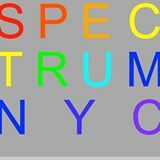 He has performed contemporary repertoire with the New Juilliard Ensemble, the AXIOM Ensemble, and the American Art Song Festival, a group he founded in 2004. In addition, he has also worked with many prominent composers, including Pierre Boulez, John Corigliano, Ned Rorem, Mark Adamo, Michel Merlet, and Robert Aldridge. Mr. Odell’s affinity for the music of Olivier Messiaen has been seen in performances of his Couleurs de la cité céleste with the Peabody Camerata, Des canyons aux étoiles . . . and Sept Haïkaï with the AXIOM ensemble. He has also performed the Quartet for the End of Time in Alice Tully Hall, numerous songs and other chamber works, and an ongoing project of Messiaen’s complete works for solo piano. Recent recitals include a program of the music of Messiaen and his students and a tribute to Messiaen’s wife, Yvonne Loriod. Mr. Odell is a founding member of the Hampton Trio, a group actively involved in presenting outstanding pieces from the established repertoire alongside newly-commissioned works. Mr. Odell’s special love of the art song repertoire has resulted in countless recitals with singers from around the world. He serves on the coaching faculty of the Académie internationale d’été de Nice in France and has performed in the Marilyn Horne Foundations’s festival The Song Continues at Carnegie Hall. Mr. Odell currently teaches at The Juilliard School and frequently presents master classes, workshops, and lectures at professional conferences and universities throughout the U.S and Europe. In 2010 he graduated with a doctoral degree from The Juilliard School, where he studied with Margo Garrett, Jonathan Feldman, and Brian Zeger. He studied further with Marian Hahn at the Peabody Conservatory of Music, graduating Pi Kappa Lambda with both a master of music degree and a graduate performance diploma in piano performance. He also worked with Karl-Heinz Kämmerling at the Mozarteum in Salzburg, Austria, with Ann Schein at the Aspen Music School, with Laurence Morton at Bob Jones University, and in master classes with Leon Fleisher, Richard Goode, Ian Hobson, Martin Isepp, Peter Hill, and the Tokyo String Quartet. Mr. Odell has been awarded the Presser Award, the Sarah Stuhlman Zierler Award, two Peabody Career Development Grants, the Lucrezia Bori Grant, the Virginia Allison Accompanying Award, and a numerous fellowships and grants from the New Hampshire State Council on the Arts. For more information, visit www.matthewodell.com.